Happy news everyone! There is a new actors guild in town. Well, to be precise there is going to be one. 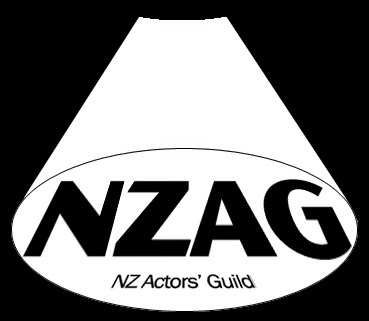 The New Zealand Actors Guild is in the very early stages of its formation. Out of frustration over NZ Equity's action and inactions but particularly out of the concern that our only actors union is heavily influenced (if not run) by its Australian umbrella organisation, about a week ago a handful of actors came together and created a facebook page suggesting to form a new guild that would address these and other concerns. Things have moved fast since then. Ideas for core principles have been put forward, an interim website has been established and attempts at getting as many actors as possible involved are in full swing. "The NZ Actors Guild is an independent guild set up by New Zealanders to provide advice and advocacy for actors. We are not an autonomous branch of another group either domestic or overseas. 2. The NZ Actors’ Guild should acknowledge the collaborative nature of film and theatre and work, where possible, in a collaborative fashion with other industry groups. We should act as advocates for actors being mindful at all times of the bigger picture. 7. The NZ Actors’ Guild should act as a clearing house for information and a place for actors to share information and engage in robust debate. 8. The NZ Actors’ Guild should seek to gather information and act in a reasoned and informed manner. 10. The NZ Actors’ Guild notes that actors’ agents are their main representatives in contract negotiations. The NZ Actors’ Guild should engage in regular good faith discussions about industry standards like the Pink Book with all members concerned (its members, SPADA, the Agents Guild, NZ Equity, and where appropriate the bodies representing other crafts within the industry)"
As mentioned above the organisers of the new guild are making every effort to get actors involved in this. Involvement at this stage means gathering information regarding actors' thoughts about how this guild is being set up and run, how they would like to see the guild work for them and what their concerns are regarding working in New Zealand's film industry. When we have the society sorted out and membership details locked down we’ll then officially sign people up. Until then it would be great to have your contact details so we can keep you up with the play. - get your actor mates interested in joining"
So, how can you get involved? Well, here is the link to the website again where you can find up to date information about what the guild is up to. You can also join the facebook page and take part in ongoing discussions. You can email the guild at nzactorsguild@gmail.com. AND you can fill out the questionnaire and tell the guild about who you are, what your concerns are and what sort of things you would like to see from a guild. At this point, the guild is simply gathering information and support. Contacting the guild and/or filling out the questionnaire is not creating any obligations for you. The actual recruitment of members won't happen until the guild has a strong enough mandate to get officially incorporated. To get to this point and to make this mandate as strong as possible the guild needs you to give your input. It is your industry, these are your concerns. Whether you are just starting out (as I am) or are a seasoned actor, whether you are an NZ Actors' Equity member or not, you're opinions and your concerns count. So, come on, make your voice heard and let the guild know what you think!